The Granite Gurus: I Finally Used My Whiskey Stones! I Finally Used My Whiskey Stones! 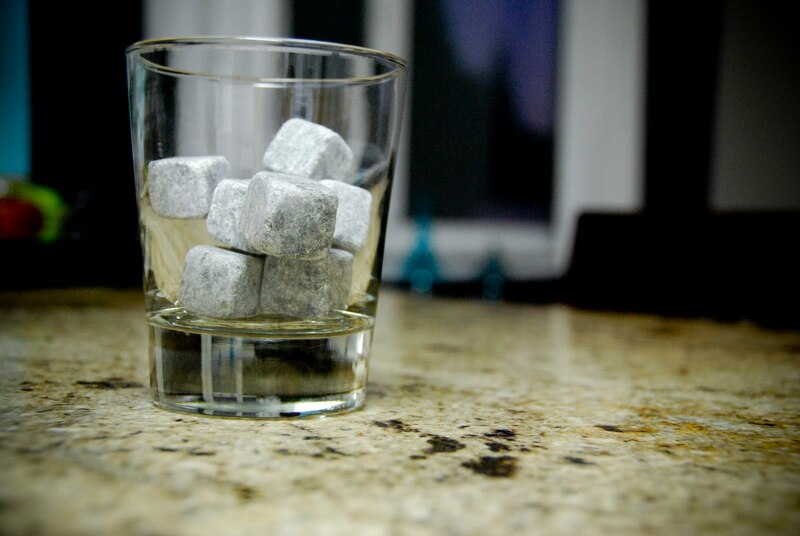 I love these really cool Whisky Stones, so I recently bought myself a set. I finally used them the other day. Not with whisky, but with tea. I needed ice cubes and decided to try these instead. I wouldn't suggest using all nine of them at the same time, I did because it was the first time I was using them and I thought it would be fun. My glass was quite heavy with all nine of them in there. 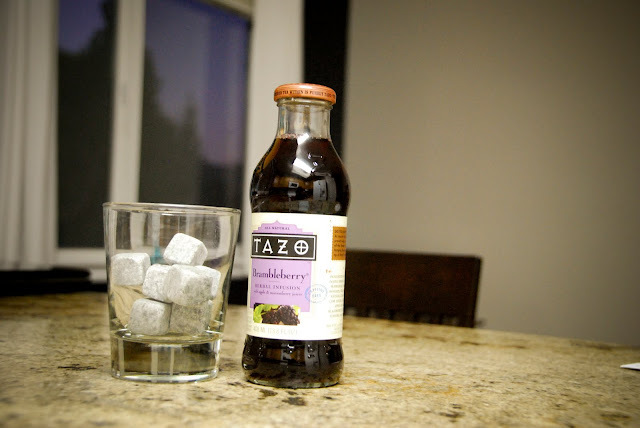 Sidenote: Have you tried Tazo Brambleberry Tea? 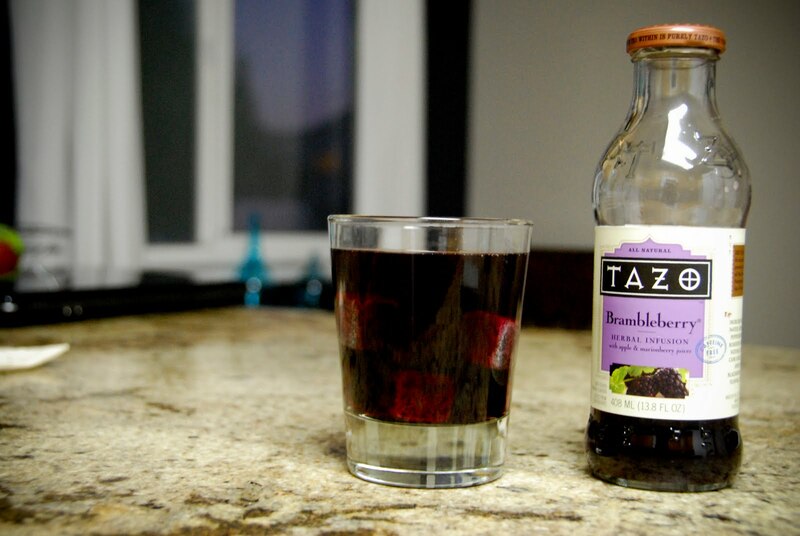 I am so in love with this tea, it's amazing! It was on sale at my grocery store a couple of weeks ago and I really went overboard in buying them. Anyway, the Whisky Stones worked! They made my tea cold without watering it down. I had washed them in the dishwasher before using them....but that was mostly because my friend licked a couple of them to see if they would leave a residue on his tongue (it didn't) or if they would taste funny (they don't). I will say they didn't make my drink as cold as ice cubes would, but that didn't bother me. Also, I was worried the tea would stain the stones. I threw them in the dishwasher again after I was done with them and they washed up just fine...no stains! Full disclosure: they don't recommend putting them in the dishwasher, on the box it says to just rinse them in water. Anyway, the Whisky Stones were fun and I'm sure I'll be using them again and again.